In restaurants, hospitals, hotels, industrial and office suites, theaters and educational facilities, mats should be a key element in the building maintenance program. Without mats, buildings incur hundreds, even thousands, of dollars a year in excessive cleaning costs. 70-80% of dust, grime and dirt in a building is tracked in from the outside on people’s feet— permanently damaging floors and carpets. One square yard of carpet can accumulate one pound of dirt in a week—twice that in inclement weather. It is estimated that the cost to remove a single pound of dirt from a building will run in excessof $600 in cleaning costs. These mats are the first line of defense against soil in your building. These heavy duty mats are designed to stay in place in all kinds of weather while removing large amounts of heavy coarse soil from the soles of shoes. These mats continue the protection started by the exterior mats. Made with fine, cut pile carpet, these mats collect soil and moisture that would otherwise be tracked deep inside buildings where it is expensive to remove and can become airborne contaminates that adversely affect indoor air quality. These carpet-topped mats are specific use mats that can be used to catch spills and other internally generated soils. In addition to providing internal soil control they can be used to enhance corporate identity, communicate safety, quality and other motivational messages. These mats more than pay for themselves with increased productivity and improved employee morale. By providing comfortable, safe working surfaces for employees who stand on their feet for long periods of time, these mats reduce foot, leg and back fatigue. 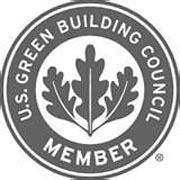 California Linen Service purchases from Mountville Mills, a proud member of the US Green Building Council, a non-profit organization consisting of leaders from across the building industry working together to promote healthy living and working environments.